What browser do you prefer to use? I seem to have always used Internet Explorer, even when I have others loaded. Hi hockeygal4ever, I am currently using opera as my main browser. It is much faster when compared to other browsers. I like the overall speed performance of it. It has fast execution especially when returning back from previously visited pages. It is safe to use too. It has widgets like the add-ons of mozilla. Overall, I am so impressed and grateful with my opera browser. However, I also used mozilla and IE rarely if I need them. Have a nice day and God speed! I too always use "Internet Explorer" but once, my brother installed twice of browser but we dleted them soon. Sorry, i've forgot their names as i did n't take interest in using them. O yeah, one was NetScape from that twice. Inter Explorer is best and enough in my point of view. 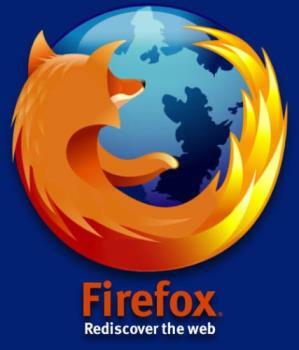 MOZILLA FIREFOX Its 100% better then IE, atleast i think so. I use Firefox. As a web designer I wish everyone used Firefox! IE does not render code properly and it is always a pain to make sure the sites I design are cross browser friendly. Please don't tell me anyone is here is still stuck on IR 6 or below! I have never understood why people don't update their browsers. I use Firefox mainly. But I also use Opera for some convenience. On my old computer I used Firefox and Mozilla Suite. I use Internet Explorer before but twas' so buggy. When I heard of mozilla and all my techie friends liked it, I installed it. I was not dissapointed. It's way easier to use and configure than the new Internet Explorer 7. Worked w/ techsupport and when IE7 had problems they suggest using mozilla instead XD. I am definitely a major fan of Firefox. And I use Mozilla composer when I am making web pages, even though I do the finest tuning in notepad all in raw html. Hi hockeygal4ever! I was using Internet explorer before and then my husband changed it to Mozilla Firefox. I really don't know why and I didn't ask why he changed it. Anyway, I trust him because he is the one who makes sure that my laptop and internet connection is running smoothly. Take care and have a nice day.